Standing (L to R): Zigmas Balevičius, Vilius Belkevičius, Darius Poviliauskas, Saulius Skarulskis, Marijan Jurgo, Vaidotas Barzdėnas, Vytautas Bleizgys, Andrej Vukolov, Vladislavas Daškevičius, Karolis Kiela, Nerijus Paulauskas, Jevgenij Charlamov. 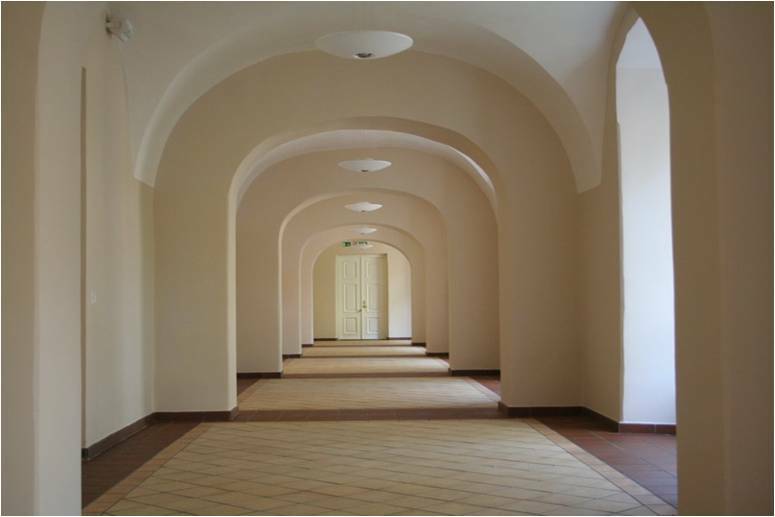 More than 40 years department was settled in Vilnius Bazijonu Monastery, Ausros Vartu st. 7a. History of Faculty of Electronics starts in 1961, when Kaunas Polytechnic Institute's, Faculty of Appliances Engineering was founded. In 1964, Faculty has 4 departments: General Physics, Mathematics, Electrical Engineering and Radio Equipment Technology’s. In 1966 led by Assoc. prof. J. Stanaitis Department of Radioelectronics was formed by departing it from Radio Equipment technology’s Department. In 1969 KPI Vilnius Branch was reorganized into VISI. Day-time Students and part of the faculty employees were transferred to the KPI. 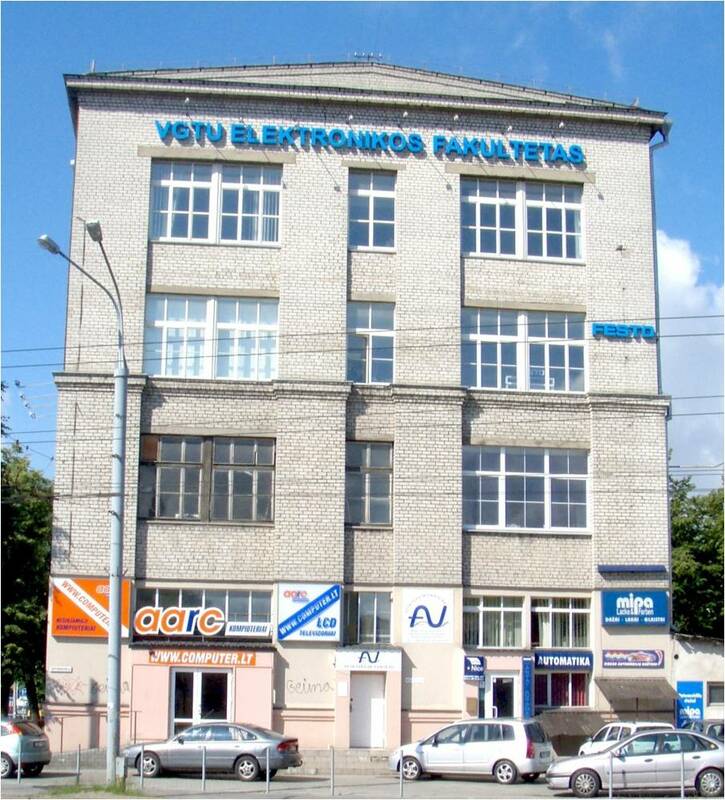 In VISI left one Radio Equipment Technology’s Department, Headed by prof. Z. Vainoris. In 1991 Radio Equipment Technology’s is divided into two departments - Radioelectronics and Radio Engineering Departments. Head of the Radio Engineering Department was elected prof. J. Skudutis. Radio Engineering Department was profiled and together with Department of Radioelectronics organized electronical Sciences Bachelors, Masters and PhDs. Between 1991 and 1995 studies have been reformed. Students could choose a field of study and specialization. Radio Engineering Department developed an electronic hardware, computer technology and physical electronics bachelors and masters. 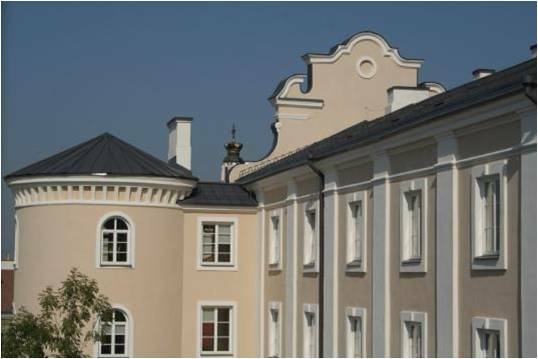 Bachelor of Physical Electronics was developed by cooperating with the Semiconductor Physics Institute. In 1996 the Head of Department was elected Prof. A.Marcinkevicius. In 2000 Radio Engineering Department head was elected prof. J. Skudutis. Given the increase in demand for modern computer specialists (computer application areas is currently the fastest developing, and related professions are very important to the creation of new jobs) in 2002 Radio Engineering Department prepared Computer Engineering studies program for bachelors. In 2007 computer engineering studies program for masters was created. In 2004 Radio Engineering Department was renamed into Computer Engineering Department. In 2010 prof. A. Baškys was elected as head of Computer Engineering Department.